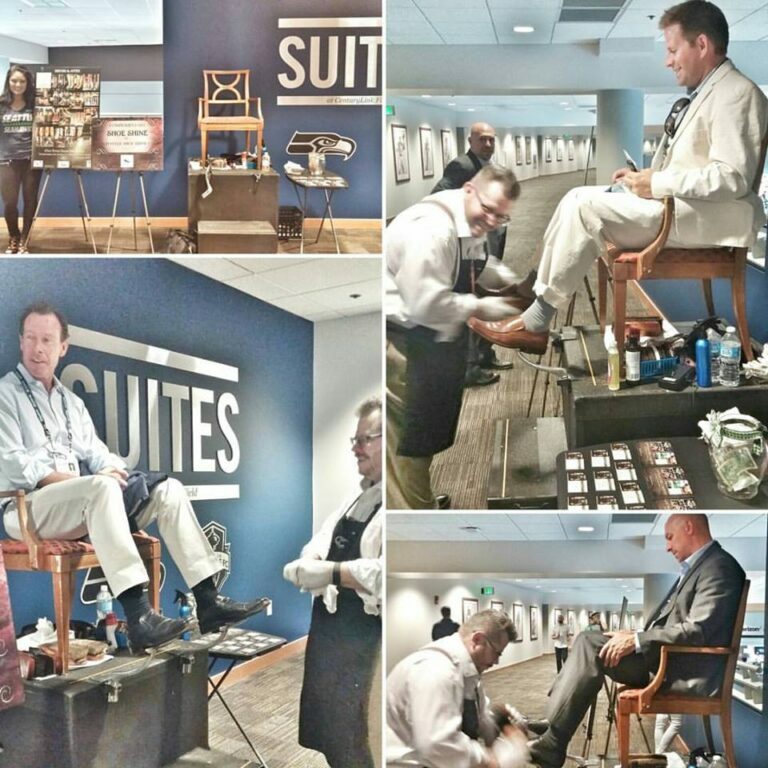 Our mobile shoe shine service is just the thing! 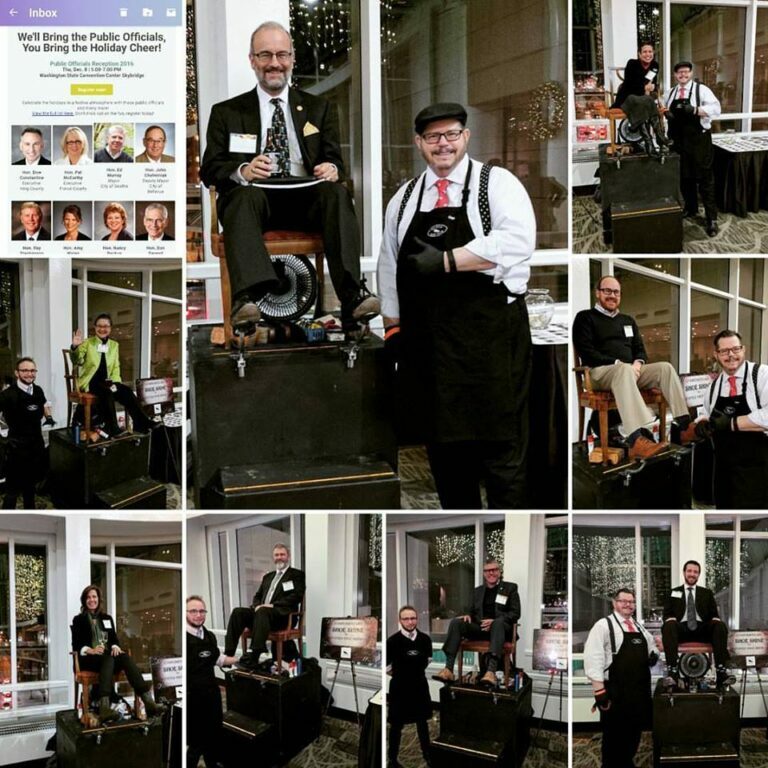 We will bring a source of enjoyment, amusement, and diversion to your party, style and elegance to your show, or an enticing temptation to your event. Employees love it as an added gift from the employer. 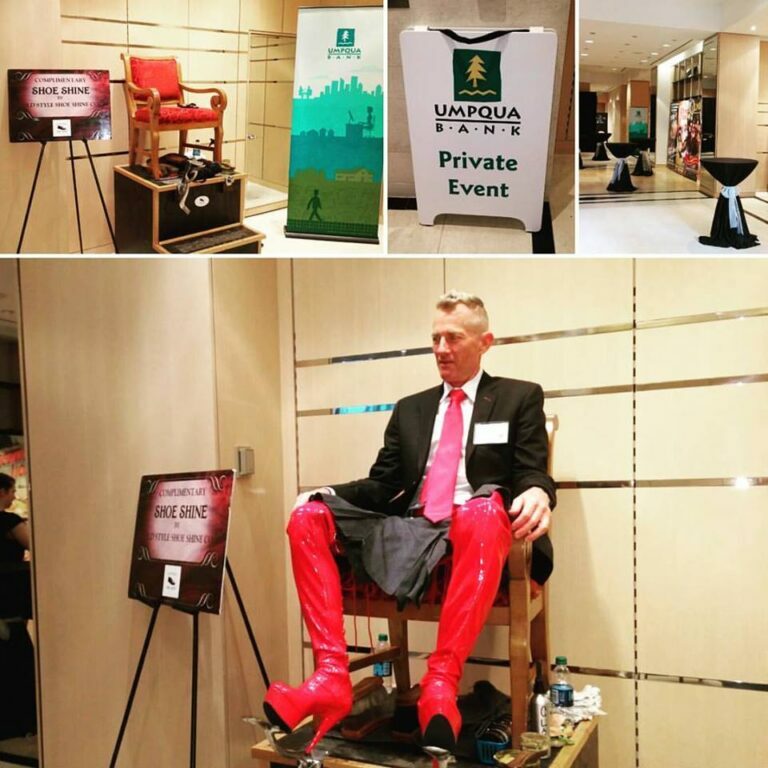 ﻿The shoe shine experience will be remembered well after the job is done. 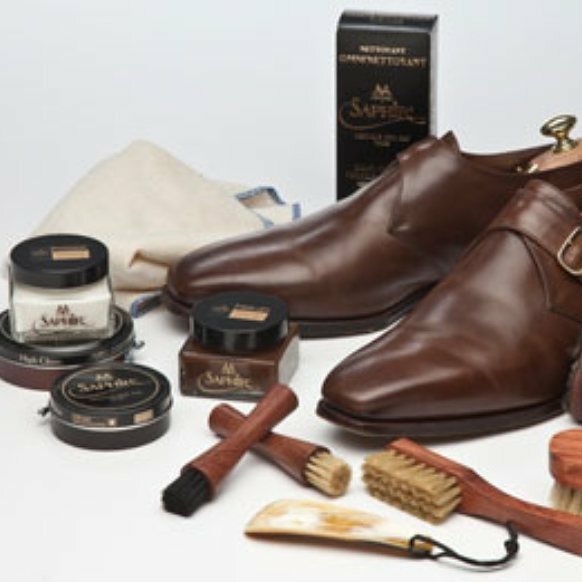 ﻿Every time you look at your shoe’s from the first time until the next time, thinking -“I do have time for a shoe shine”. 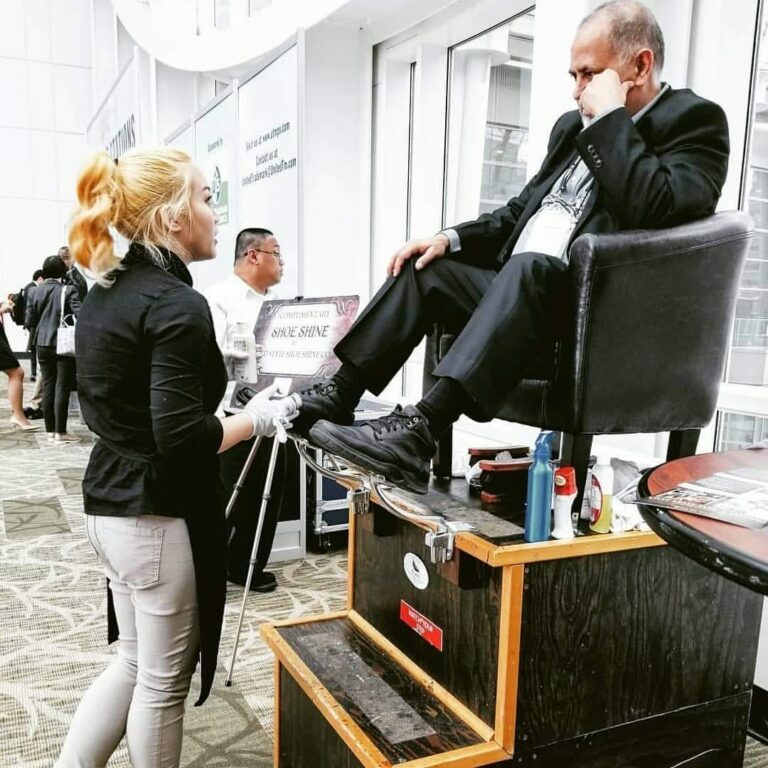 ﻿Our unique, shoe shine service will increase traffic to your booth while successfully creating a buzz around your event- helping your company increase sales, and profits! 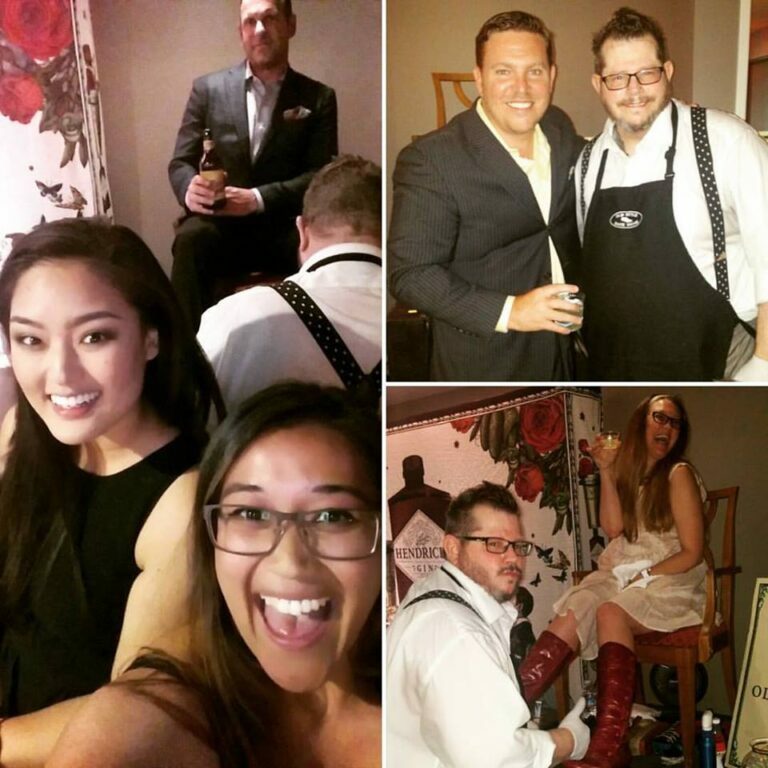 ﻿While the prospect is enjoying this incredible shine, the sales team immediately receives a captive audience!